INDIANAPOLIS – Beth Smith was in her 30s and wanted to have children. She tried everything, but couldn't get pregnant. Smith says she felt just like every other “normal American,” drinking Diet Coke and getting Starbucks, and thought she felt fine. It wasn’t until she started drinking and consuming live juices that Smith said she started feeling better. According to the Center for Disease Control and Prevention, at least 12 percent of women in the United States have received some sort of fertility services. She’s since had three kids. Now, Smith has been on her raw food diet for more than a decade and hopes Simplicity, her business, will help more people battling health issues. "A lot of my patients have that in the back of their mind and they start making changes, dietary changes, changes in their activity, they start to lose weight, and a lot of times they end up getting pregnant,” said Katie Hake, an IU Health dietician. 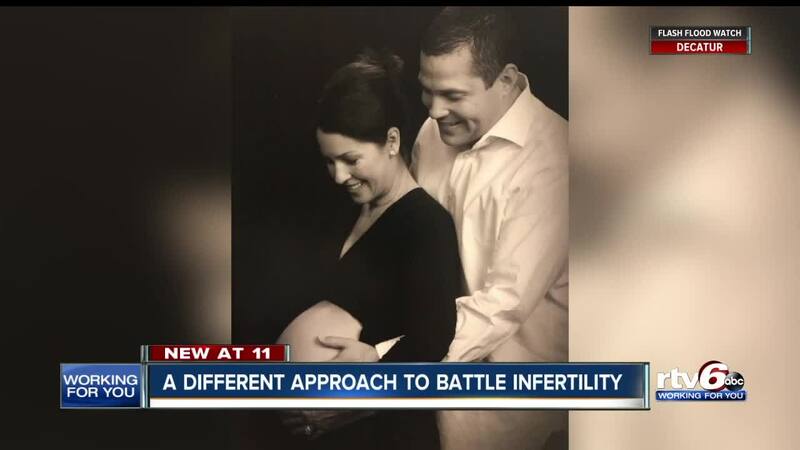 “Which comes as a surprise because they always thought they would always be infertile."